Supplies are kinda limited and I dunno when I'm gonna run out, so you betta get 'em while they're hot!! 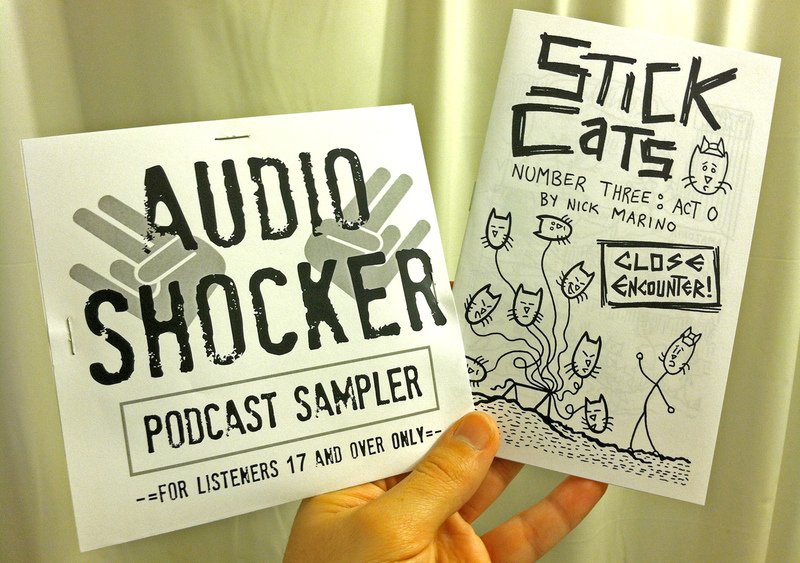 Along with those, I'll have bunches of Super Haters, Stick Cats, and Time Log comics (including digital comic cards!). I'll also have some awesome offerings from my buddy, Jeremy Baum, including a new comics anthology that he just edited (featuring yours truly) called Arcadia. 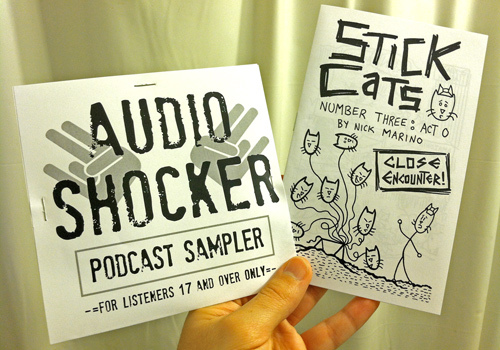 October 10th, 2012 | Tags: Conventions, NYCC, Stick Cats, Wanna see my Nick?